Meet Peter, aged 51 (below left). Peter is a full time carer living in Neasden, Brent. Peter cares for Michael (23), a regular Community Club member who has autism, a learning disability and bundles of energy! Due to Michael’s disability, Peter and Michael have very structured plans for the week’s activities with Community Clubs, football, gym and swimming sessions, long walks, and “total housework” keeping them both incredibly active. Peter also attends the gym in his own time acknowledging that getting older and managing his weight both play important roles with regards to his ability to care for Michael. Peter lives his life supporting others, now we’re keen to support Peter fulfill his dream. 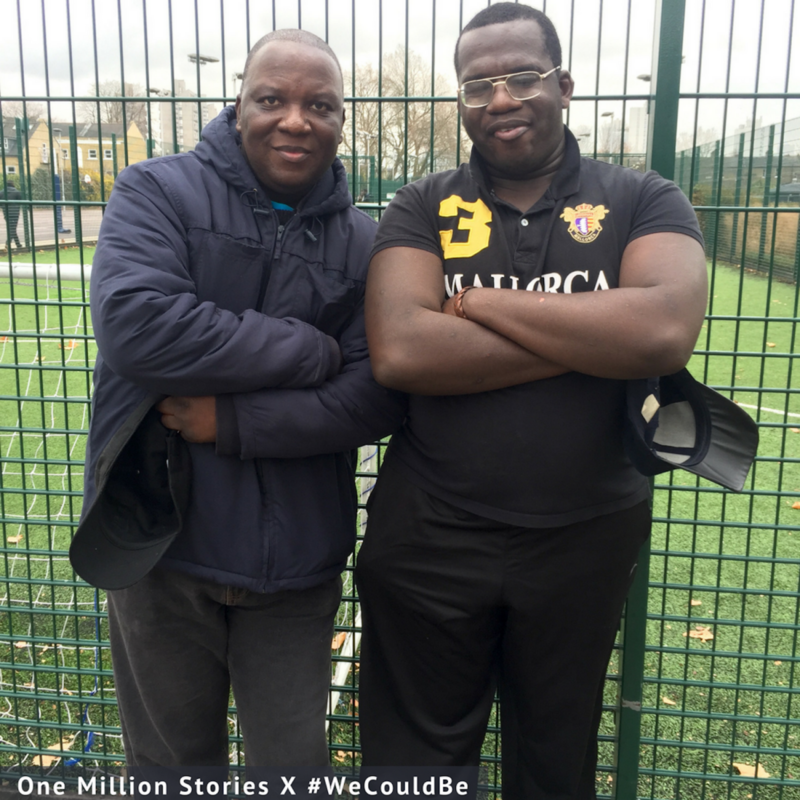 We've teamed up with London Sport and their One Million Stories project to share five inspiring stories of physical activity and sport as part of our #WeCouldBe campaign. Follow our social media channels Twitter, Facebook & Instagram to read each inspiring story!